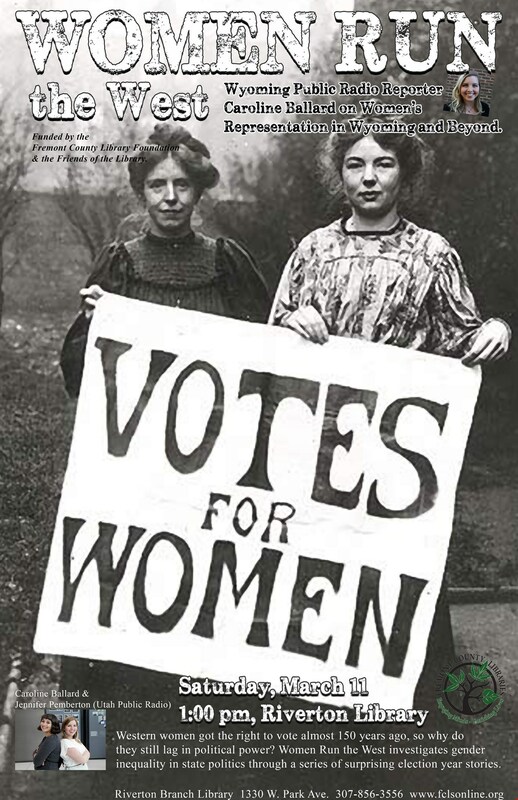 Western women got the right to vote almost 150 years ago, so why do they still lag in political power? Women Run the West investigates gender inequality in state politics through a series of surprising election year stories. Join Wyoming NPR reporter Caroline Ballard, the host of the podcast HumaNature and Morning Edition, Saturday, March 11 at 1:00 pm in the Riverton Branch Library Community Room. 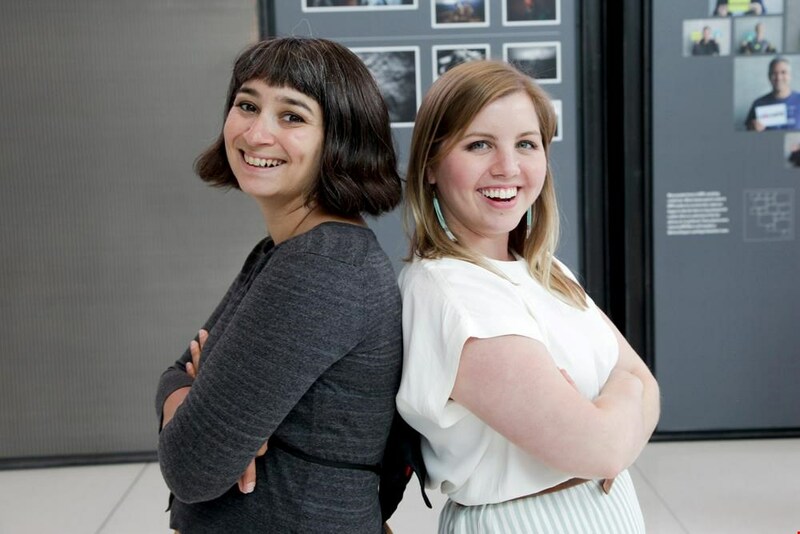 Ms. Ballard will be bringing you these stories with the help of her partner Jennifer Pemberton of Utah Public Radio. For more information, please call the library at 856-3556. 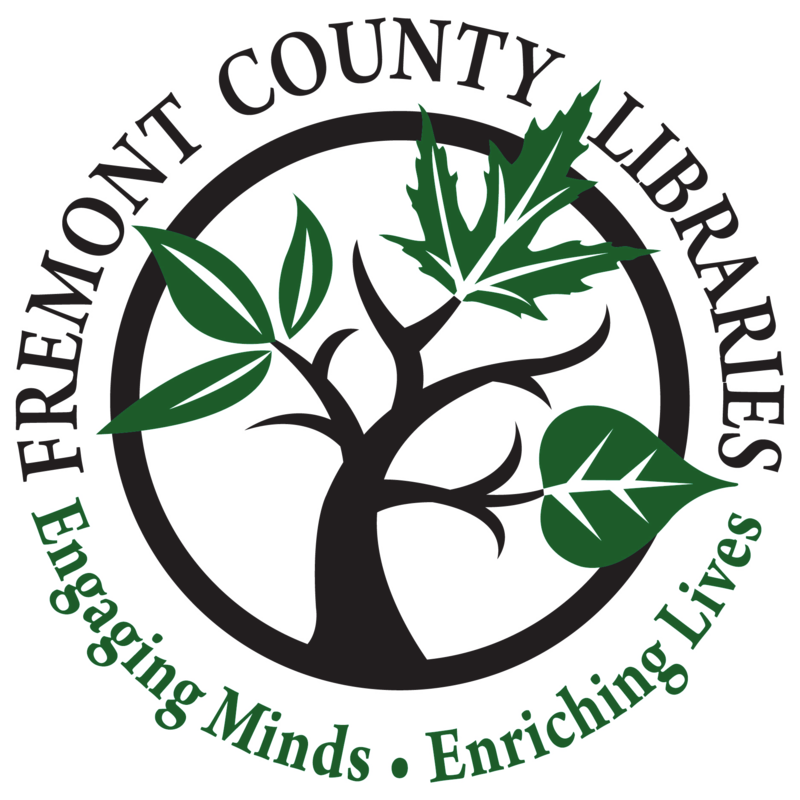 This program is sponsored by the Fremont County Library Foundation and the Friends of the library.